When night falls we can venture into danger within the safety of our dreams – where nothing can really touch us… or can it? One woman’s insidious fantasy threatens everything, but some nightmares are simply too good to resist. A ‘desirable property in need of updating’ clings on to its past, and a young couple’s future together is irrevocably changed. “The cobwebs, rat droppings, dust and rotten floorboards? There must be a reason they had no photos of the interior on the website. Like it’s a complete wreck with water running down the walls… blood stains on the carpet…” Marie closed her eyes and shuddered. 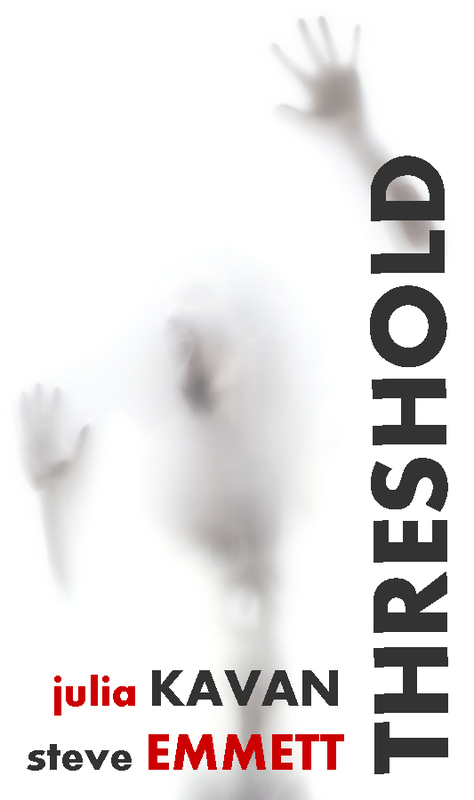 Threshold is a dark, psychological thriller set in the UK, written with fellow horror author, Steve Emmett. Annie and Michael’s lives are worlds apart. One man’s abuse of power unites them. Michael Wake is an ambitious psychiatrist whose perfect family life is derailed when a chance meeting with a young woman ignites his dark side. What Annie really needs is help, and if she’d met Dr. Wake as a patient she would have got that. Being thrown together on a rainy London street is another matter, and rather than what she needs, Annie gets what she wants. The devastating consequences for each of them lead to a battle of wits only the strongest will survive. to read Threshold as soon as it has been published, please click HERE to sign up for an email alert. As well as writing horror and dark fiction, I am the Commissioning Editor/Editor for Massacre Magazine – a quarterly publication featuring horror writers from around the world.